Not at Glastonbury? Neither are we. Luckily, Kopparberg Urban Forest offers some Scandi-style solace with a special Soul Nation set from BBC Radio and MTV Base legend, TrevorNelson MBE, on Sunday 28th June. The brainchild of the Hackney-born DJ, Trevor Nelson’s Soul Nation is a mecca for soul, funk, boogie and r&b fans across the country. True to form, this Sunday will see Trevor Nelsonand some of his DJ friends bring the free festival in Hackney Wick an unforgettable evening of real soul music for the discerning music lover. Forget the Pyramid stage and head to the canopy of the Kopparberg Urban Forest with its woodland bar serving delicious Swedish fruit ciders and beers from the Kopparberg Brewery and a Frozen Fruit Cider Bar. 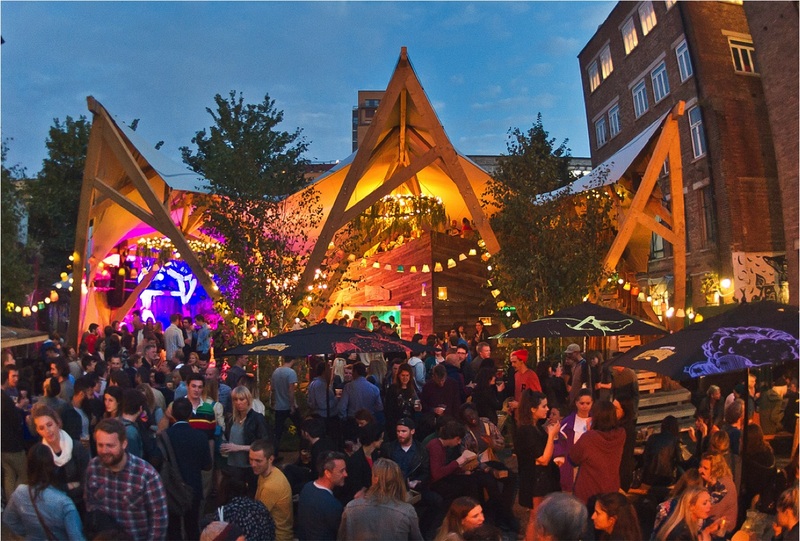 Entwined in Hackney Wick for five weeks from until 12th July, Kopparberg Urban Forest is a free event that will see Swedish and London culture collide in a heady mix of live music, street food and drink. Other acts set to play the stage over the next couple of weeks include Chromeo, Miss Dynamite, Citizens!, Submotion Orchestra, and Slow Club. In an exclusive partnership with Spotify, Kopparberg Urban Forest has worked with artists playing the festival to curate special summer playlists so that fans across the UK can tune in from anywhere. Playlists from the following acts are currently available at these links with more to still to follow: DJ Yoda, Slow Club, The Sunshine Underground, Submotion Orchestra andYouth Club.